~ by Kamal Dollah on Jun 29, 2014. 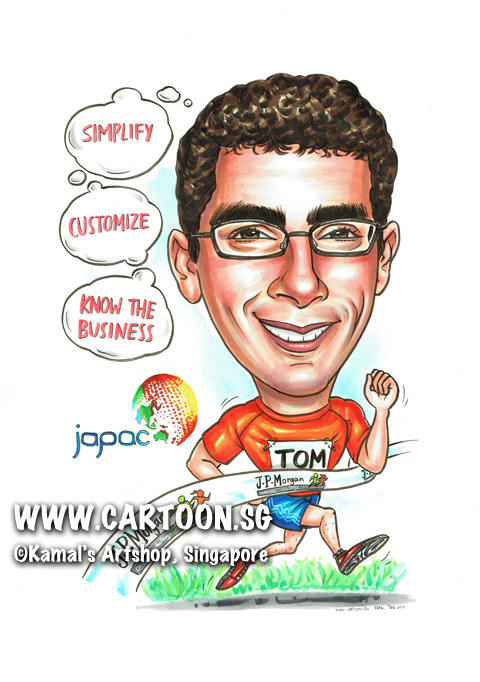 We would like you to draw a caricature portrait of our colleague, Tom Zerull, as he will be relocating back from Singapore to our head office in Chicago. It will be in color and A3 size with frame. We would like you to deliver to our office on Monday, June 16. - His picture is attached. - You can draw him in a marathon jersey. He looks very energetic and jubilant! 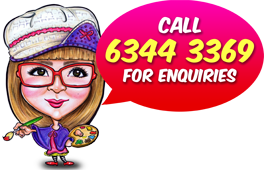 - Put the following logo prominently somewhere on the portrait. - Please put the JP Morgan logo on the winning banner. - Being a Compliance Director, he has these missions for his team to achieve so you put him thinking or strategizing the 3 goals: SIMPLY, CUSTOMIZE, KNOW THE BUSINESS !